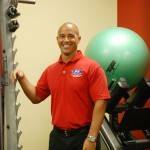 My name is Matthew Collar, owner of Fitness Together – Sebring. I developed an interest in physical activities as an adolescent by playing sports which later developed into a passion for fitness. I started to compete in bodybuilding contest and power-lifting competitions at a regional and national level. For 7 years I was a member of the ANPPC Body Building Organization. Being in a competitive fitness environment, I absorbed a great deal of information about physical training and nutrition. I started helping friends and family with their goals to develop a healthy lifestyle. In doing so, another passion of mine became a reality. Being a Fitness Together owner will allow me to help others reach their fitness goals and to live a healthier lifestyle.